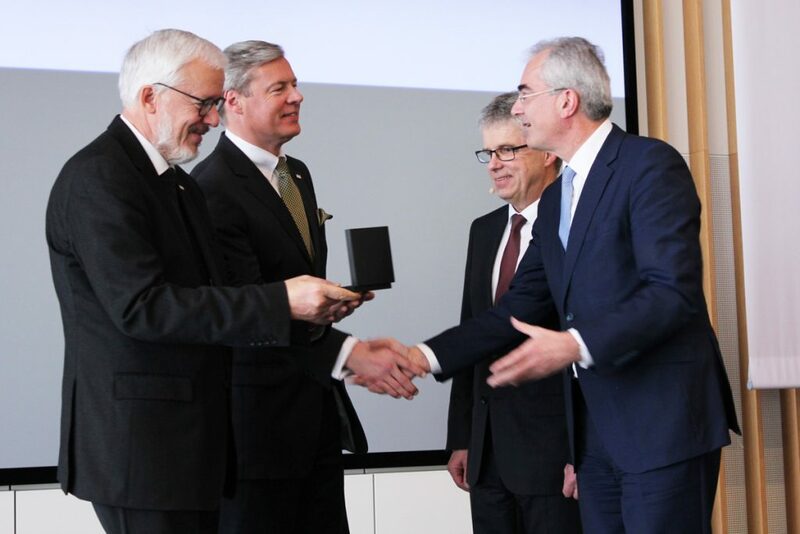 On Thursday (25 February 2016), Ministry Director Guido Rebstock and Mint Master Peter Huber presented the latest art medal from the “Inventors from Baden-Wuerttemberg” series in a ceremony at Alfred Kärcher GmbH & Co. KG in Winnenden. 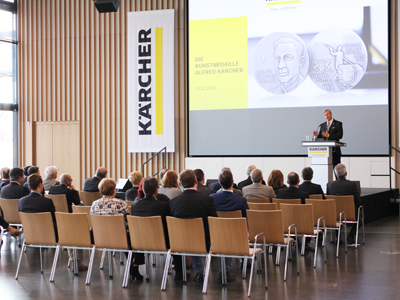 The medal is dedicated to Alfred Kärcher, inventor of the high pressure cleaner. Kärcher technology is used all over the world in a multitude of areas. 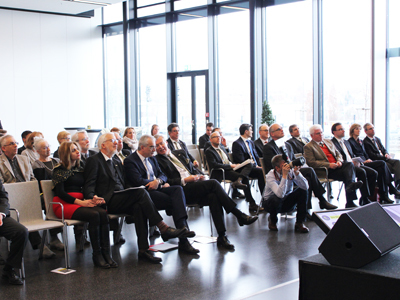 The “Inventors from Baden-Wuerttemberg” art medal series honours outstanding people from our beloved Baden-Wuerttemberg who, with their genius and creativity, have greatly advanced technical progress”, said Ministry Director Guido Rebstock at the presentation ceremony of the medal. 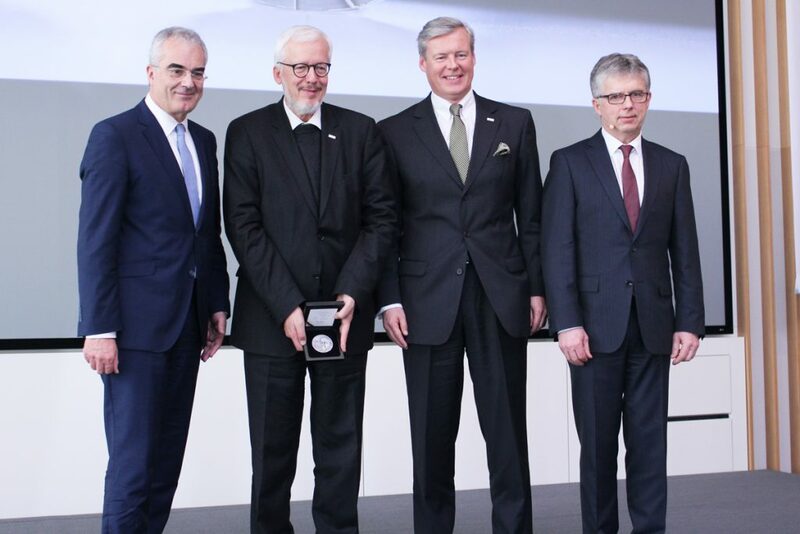 “The medal series demonstrates how Baden-Wuerttemberg still continues to guarantee prosperity and recognition to this day: through the spirit of ingenuity”, says Rebstock. Since 2007, the State Mints of Baden-Wuerttemberg have issued a medal series which commemorates the most outstanding inventors in the state of tinkerers and thinkers. The Alfred Kärcher medal is the 9th edition in the series to be issued by the State Mints. Inventors previously honoured include Artur Fischer, Graf Zeppelin, Karl Maybach, Karl Drais, Carl Benz and Gottlieb Daimler, Margarete Steiff, Heinrich Hertz as well as Ferdinand and Ferry Porsche. The history of coin and medal production in Baden-Wuerttemberg dates back more than six centuries. Today, the State Mints of Baden-Wuerttemberg are considered to belong to the a leading, internationally operating minting enterprises, with mints in Stuttgart and Karlsruhe. Together, the two locations produce about 40 percent of Germany’s circulation and collector coins. Further Information: The “Alfred Kärcher” medal struck in high-relief technology represents exquisite minting craftsmanship and complements the innovative portfolio of the modern state-owned enterprise State Mints of Baden-Wuerttemberg. The medal was designed by Professor Ulrich Böhme and engraved by Werner Mebert, as was the case in the production of the other medals in the series.